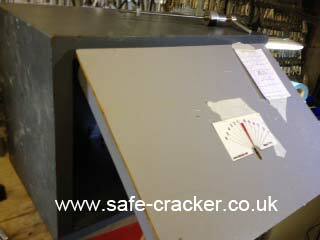 Below are some examples of safecracker's services. They may well fall in to the situation that you currently find yourself in. You have lost your safe keys? Your electronic combination lock has stopped working? Your safe keys no longer seems to work? You have found a safe and need it opened? Your safe is locked open and you now can not lock it? A locksmith has tried to open my safe but couldn't? 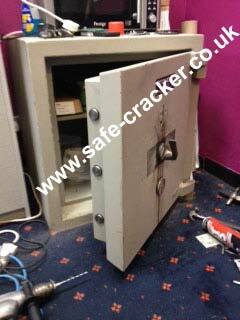 When the owners of this safe contacted safecracker, they had already spoken to another safe engineer who had told them that as the combination had stopped working the safe would need to be drilled open. Safecracker attended and with just a pair of head phones to assist SafeCracker opened the safe with no damage to the safe or lock and saving the owner over £300 on the quoted drill open price. Always call safecracker as advice is free and we may just be able to save you a great deal of money and preserve the integrity of your safe. 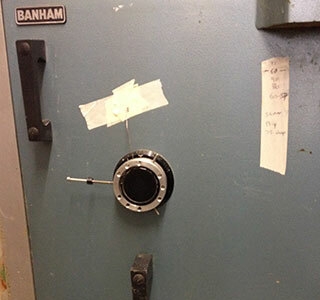 When the new owner won this safe on ebay, he thought that the combination would be supplied. It was only after it arrived he was told that no-one knew the combination, leaving him having to find someone who could open it. Luckely enough he called safecracker. I attended and opened this Royal Safe for him. Never buy a second hand safe unless you see a picture of it with the door open. But if you need a Royal Safe or ony other safe opening call safecracker. The owners of this safe inherited it when they purchased their house. They Called safecracker who attended and opened the safe without any damage to the safe or lock. A new electronic safe lock that had been fitted on this Chubb safe failed after a very short time. The locksmith who installed it did not have the safe opening tools or knowledge to open the safe. But he did have the good sense to call safecracker first and not attempt to open the safe by himself. 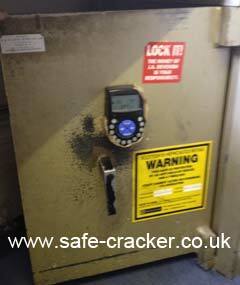 Safecracker attended and after confirming the diagnostics we drilled in to the safe, opening the La Gard safe lock. The safe was then repaired to standard. 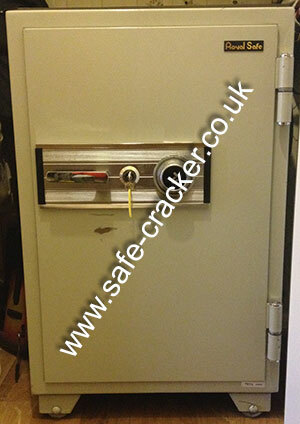 A customer called safecracker with a locked Chubb Secureline safe, which he had no safe keys for. Safecracker was able to identify the safe lock as a Mauer President. The Mauer President safe Lock. Safecracker then picked the safe open using a standard 2 in 1 pick. 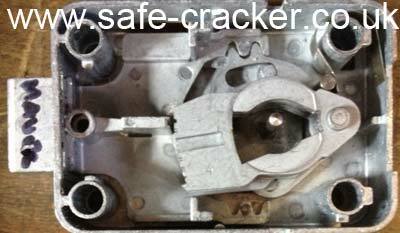 After opening it, safecracker changed the lever order around in the lock and cut two new keys. This way the previous keys, should they fall in to the wrong hands would no longer work on this safe. 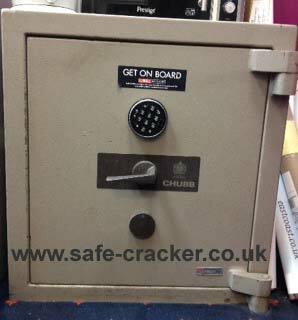 no damage was caused to the Chubb Secureline Safe. 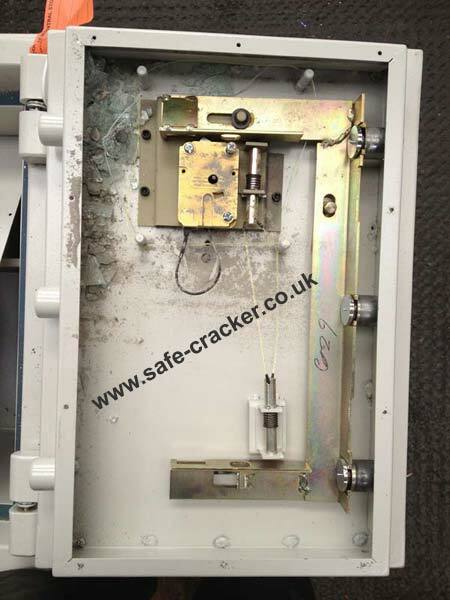 safecracker were called to this national chain of supermarkets as the safe key for the SMP safe they had no longer opened or closed the lock leaving the safe in the locked open position with the days takings inside. 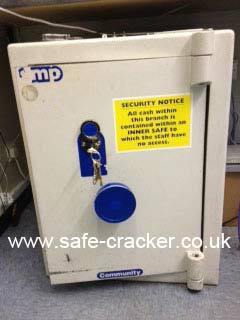 Safecracker attended identified the problem and cut new keys leaving this SMP safe fully working again. Safecracker were called to this locked Leigh safe after builders found it during renovation work. 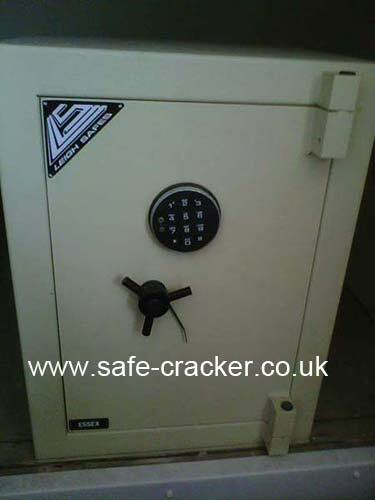 The safe was fitted with a La Gard electronic combination safe lock. Safecracker attended and quickly opened the La gard electronic combination safe lock. The Leigh safe is now in use by the new owners of the property. Safecracker attended and were able to quickly identify the problem with the safes electronic safe lock and rectify it, putting this Dudley safe back in to full service. Because of the short time it took us, the customer only paid the standard safe call out charge. 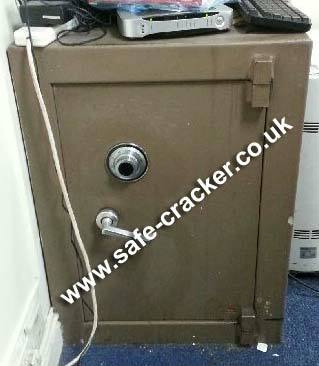 Safecracker were called to this locked unbranded safe at a South London Police Station, a locksmith had previously attended and attempted to drill open the safe. He didn't have the right skillls knowledge or equipment to complete the task and had smashed the security glass in front of the safes lock. safecracker attended and opened the safe. Always ensure the person you ask to attend is a safe specialist, or you may end up paying a lot more to get your safe open.